Justin Potwora (left) from The First Tee of Greater Portland and Bernhard Langer (right) display their winning trophies. 2017 marked the inaugural PURE Insurance Championship Impacting The First Tee, which was held September 22–24 at the famed Pebble Beach Golf Links. This PGA TOUR Champions event brings together legends of golf to play alongside amateurs and top juniors from The First Tee. Funds raised by the event are distributed by the Monterey Peninsula Foundation (the event’s host organization) to support area First Tee chapters and other nonprofit organizations in Monterey, Santa Cruz and San Benito counties. 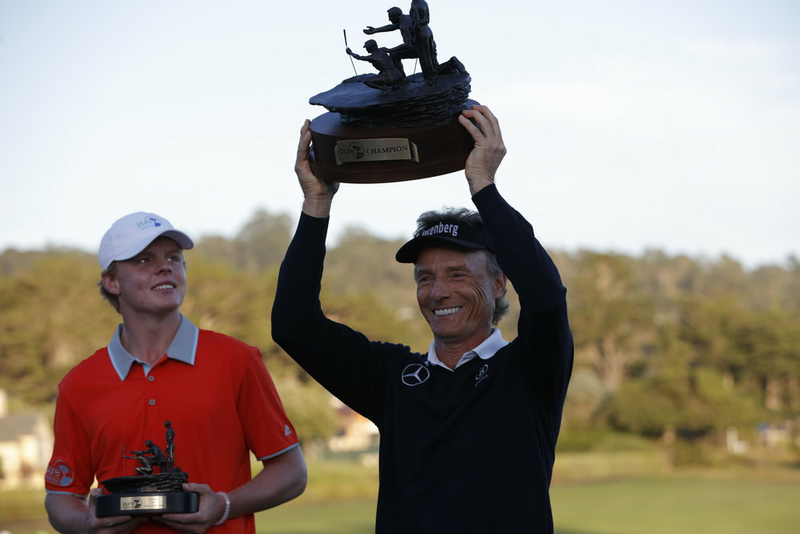 After 54 holes of golf, Bernhard Langer claimed victory for the Champions and 17-year-old Justin Potwora of Eugene, Oregon, won for the Juniors. The 2018 tournament will be held September 28–30. For the latest news and updates on the event, including ticket information, follow us on Twitter and Instagram at @PUREFirstTee and on Facebook at facebook.com/PUREFirstTee. The First Tee is a nonprofit youth development organization dedicated to introducing the game of golf and its Nine Core Values to young people throughout the country. Young golfers of The First Tee at the 2017 PURE Insurance Championship. PURE member and golf legend Mark O’Meara with his “Lucky Putter” in his home in Houston, Texas. PURE member and golf legend Mark O'Meara's Masters Tournament trophy. PURE member and golf legend Mark O’Meara, Meredith O'Meara, his wife and their two dogs in their home in Houston, Texas. 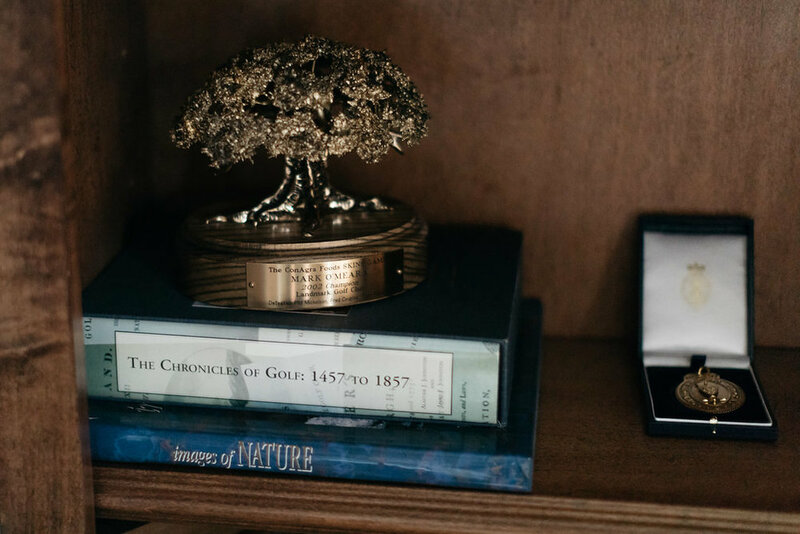 PURE member and golf legend Mark O’Meara alongside his Jack Nicklaus Award in his home in Houston, Texas. PURE member and golf legend Mark O’Meara's glove in his home in Houston, Texas. 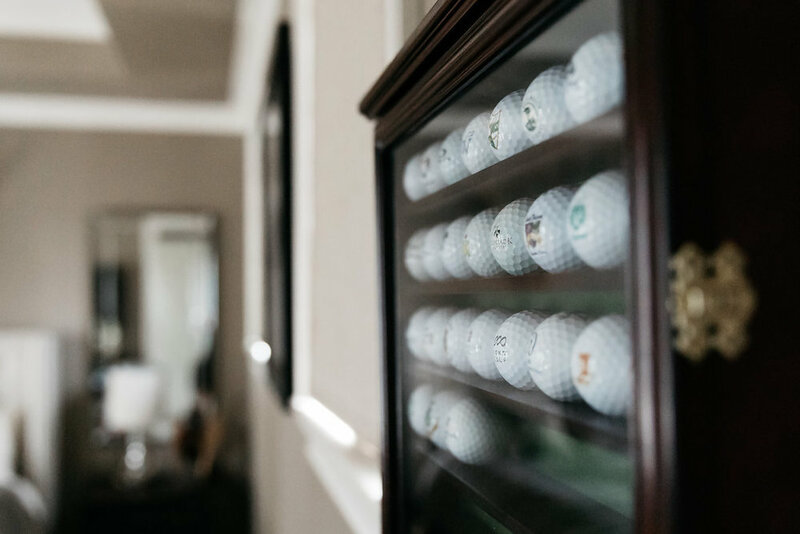 Inside the home of PURE member and golf legend Mark O'Meara. 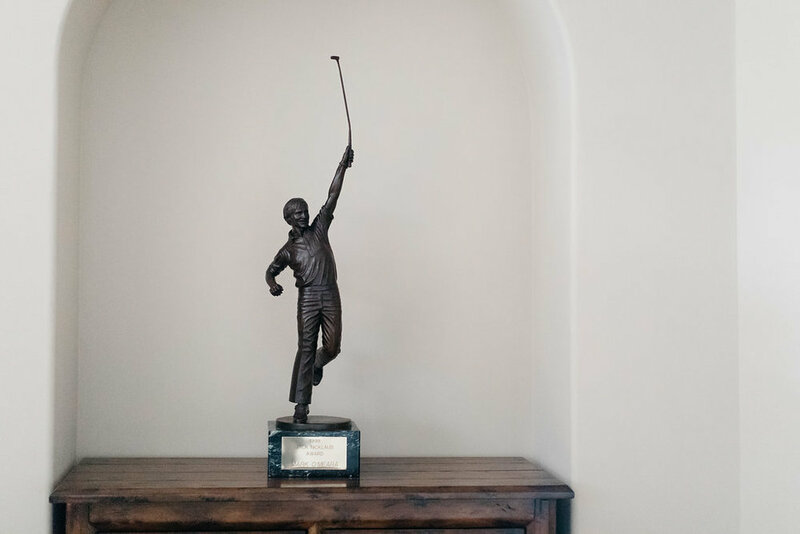 PURE member and golf legend Mark O’Meara's Jack Nicklaus Award in his home in Houston, Texas. Outside of the home of PURE member and golf legend Mark O'Meara. PURE member and golf legend Mark O'Meara and Meredith O'Meara, his wife, in their home in Houston, Texas. PURE member and golf legend Mark O'Meara's Golf Champion Trophy, the Claret Jug. PURE member and golf legend Mark O'Meara in his home in Houston, Texas. A PURE member since 2015, Mark O’Meara is a 16-time winner on the PGA TOUR—including five titles at Pebble Beach—and we were honored to have him play in the PURE Insurance Championship. He and his wife, Meredith, together with their two dogs, split their time between their homes in Houston, Texas, and Park City, Utah, which is where they first experienced PURE’s service. Less than a year after the O’Mearas completed construction on their Park City home, a washing machine hose burst on the second floor, causing significant damage to the theater room that sat directly below. Portions of the ceiling in the room had collapsed, the hardwood flooring was badly warped and all of the expensive electronic equipment was destroyed. PURE Claims Adjuster Shawn Roessler took care of the entire process—from coordinating vendors who can assist in the dry-out and clean-up efforts to locating replacements for items that were beyond repair.